The EVIAP – Earned Value International Advisory Panel Conference is in Lisbon, next 29 and 30 November 2017 and is dedicated specifically to the mechanisms for monitoring and controlling projects. The main theme of this years conference is “Project controls on an Agile organizational world”. The “Earned Value Management – EVM” is, today, the more recognized and effective tool to control projects and it is the main subject of this conference. 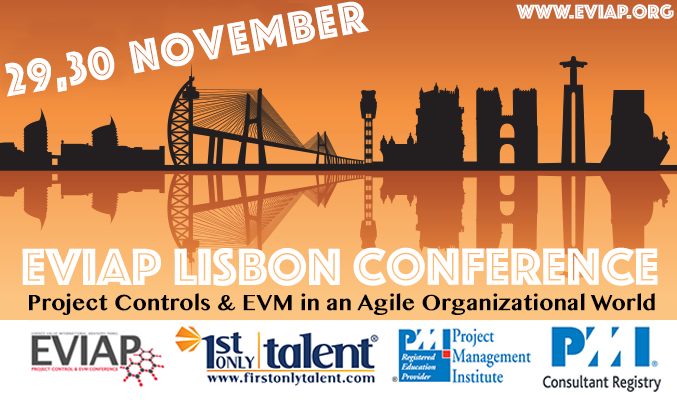 This event is being organized in Portugal by PMI’s REP and RCP 1stOnly Talent®, SW Projects and EVIAP, which is a panel of international experts in project control and EVM, and that is the main world reference for specialists. The panel members are confirmed figures with international prestige in Project Management in general and specially in EVM. Please take a look at the Panel folder to see the EVIAP members. The event is co-chaired by Steve Wake, APM’s (UK largest PM organization) deputy chair and CEO of SW Projects and José Ângelo Pinto, PMI’s RCP Advisory Group and PMI’s REP and RCP 1stOnly Talent® CEO and partner. The event also has the institutional support of the two largest and most representative associations of project managers in Portugal: PMI Portugal Chapter and APOGEP. 5 star hotel in Lisbon to be designated. > EVIAP, SW Projects and 1stOnly Talent® reserves the right to cancel the conference at these dates if there are not enough participants. In this case, all payed values will be imediatly and fully reimbursed. Steve Wake is a management consultant, specialized in earned value project management. He provides advice, guidance, and training. He is the Chairman of the APM Earned Value Management Specific Interest Group and director of Steve Wake Projects, Ltd. He chairs, speaks, writes, and is an accomplished event organizer. He is seen as a UK expert and champion of the subject of earned value. He established reciprocity between the US ANSI EV Guideline and the UK APM Guideline. Steve is also an APM Board member and chaired the APM SIG-Steering Group with oversight of all APM’s SIG activity and strategy and he also chaired all the APM board, being deputy chair nowadays. In 2009, he helped found the EVA-Europe initiative and chaired the first conference at CERN Geneva and he is a member of the core author group for the revision of the PMI Second Edition of the Practice Standard for Earned Value Management. In 2011 he started EVIAP and also organised the Synergy 2011 conference programme for PMI UK. Jose Angelo Pinto has over 25 years of experience as consultant, entrepreneur and in the academia. He is in the board of directors in several organizations, and he is in the CEO of 1stOnly Talent®, a consulting and trainning organization that aplies Project Management practices and is a PMI’s REP and RCP. He was a founder director, president and is the fiscal council president for the PMI Portugal Chapter (Project Management Institute) president. He is a certified Project Management Professional (PMP), a certified accountant, a certified trainer and an expert on PMI® OPM3®, being a Certified Professional in this organizational improvement methodology. Dr David Bryde is a Reader in Project Management within the Built Environment and Sustainable Technologies (BEST) Research Institute in the School of the Built Environment, Faculty of Technology and the Environment, Liverpool John Moores University. He has a particular interest in EVA. With his co-researcher Roger Joby he has recently completed a longitudinal research study into the use of EVA in clinical research. Preliminary findings were reported at the recent EVA16 conference and David and Roger are currently preparing a paper to report the full findings. David and Roger are also initiating a project to survey industry practitioners to find out attitudes and experiences of using EVA and the link with project performance. Much of David’s research involves international collaborations. Recent research and publications have been with colleagues from the University of Applied Sciences, Stuttgart, Germany and University of Technology, Kuala Lumpur, Malaysia. After a career in the British Army, he has worked as a senior project manager in the nuclear sector and completed assignments in Russia, Ukraine, Slovakia and a range of East European countries. Past assignments have included the reduction of technical barriers to trade and studies of energy security for the EC, as well as consultancy to US Department of Energy of project and programme management. He has held a variety of key posts in the International Project Management Association including President and two tours as Chairman of the Council. He is currently a Vice President of the Association for Project Management and has held a range of other appointments for APM including Chairman of the Board and secretary of the Research Panel. He has held a number of academic and representational post and is currently the Chairman of the International Standards Organisation’s Technical Committee 258 which is developing standards on project, portfolio and programme management. 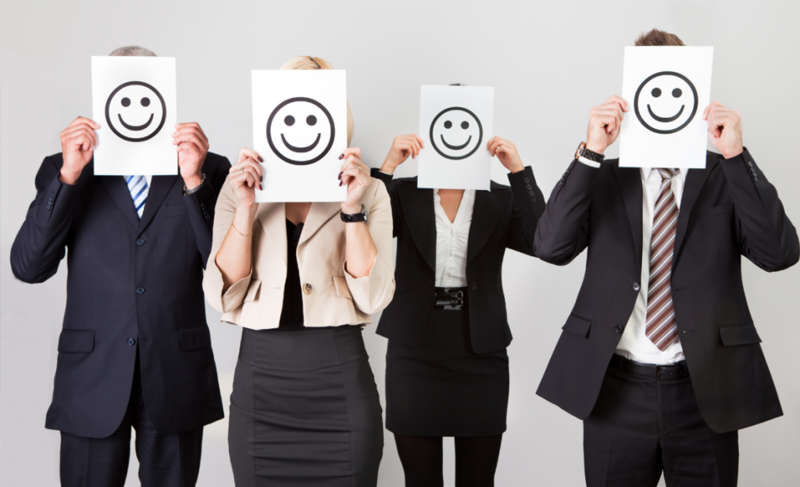 Mr. Albert has more than 30 years of professional experience. In 2003 he received the “Lifetime Achievement” award from the Society of Cost Estimating and Analysis (SCEA) and in 2010 he received the “Freiman Award”, the highest award from the International Society of Parametric Analysts. He is a Past President of SCEA and the Project Management Institute’s College of Performance Management (PMI-CPM). He is currently on the Executive Committee for the National Defense Industrial Association (NDIA) Program Management Systems Committee and the Industrial Committee for Program Management. In 2001, Mr. Albert was appointed by the US Secretary of Defense to the Defense (DoD) Business Board, a Federal Advisory Committee providing the Secretary of Defense and the Deputy Secretary of Defense independent advice and recommendations on effective strategies for implementing best business practices in the overall management and governance of the Department. He currently serves as a Senior Fellow on the Board. In 2007 he received the DoD’s “Medal for Exceptional Public Service” for his efforts in support of the Defense Business Board. David can be contacted at david@risk-doctor.com.
. knowledge acquisition and optimised psychology-led design of “Smart Wearables” – clothing incorporating mobile communications with physiological and psychological support for the elderly – under the New Dynamics of Ageing programme. In this section you can see all the information about the 1st International Conference on Project Control and EVM Conference, which took place on the 15th and 16th of November at the Altis Hotel in Lisbon. The conference was fully dedicated to the monitoring and control mechanisms of projects, of which “Earned Value Management – EVM” is the most effective model, and as such recognized internationally. The conference took place at the 5 star Hotel Altis which is both a hotel and conference centre. The centre is frequently used for political and media events. A special rate was offered to conference attendees. The Altis Hotel is located in the downtown area of Lisbon on Rua Castilho, in the middle of the main business district and some of the most exclusive boutiques and stores that line the cosmopolitan Avenida da Liberdade, set in one of the most fashionable parts of the city. The Altis Hotel is in the ideal location to access the city’s most vibrant and historic districts such as Bairro Alto and Príncipe Real where you can find the true soul of Lisbon, lively new restaurants, bars, art galleries and museums with concept stores, antique shops, traditional grocery shops, Fado houses and snack bars.